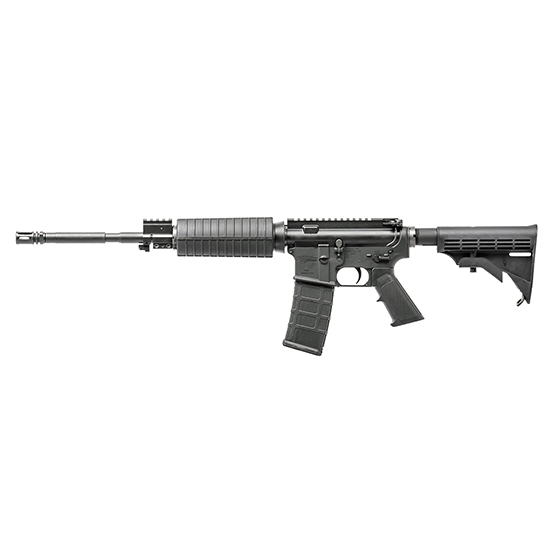 CMMG 10214 AR-15 M4-LE OR SA 223|5.56 16 30+1 6-Pos Stk Black in. CMMGs Mk4LE Optics Ready model is set up for your favorite scope or red dot sight as it has no front sight base to interfere with the sight picture. It has a 16 nitrided barrel with an M4 profile and an A2 flash hider low pro railed gas block twopiece carbinelength M4 handguard A2 pistol grip M4 buttstock with sixposition MilSpec receiver extension. It has a forged 7075T6 Aluminum M4 type upper receiver and an AR15 type lower receiver with a single stage MilSpec style trigger."